Equity Park was the 250th playground built in New York City under the direction of Parks Commissioner Robert Moses (1888-1981). Throughout his tenure in office, Moses opened as many as 15 playgrounds in a day, increasing the number of such spaces in the city from 119 to 777. This prolific expansion began with 71 new playgrounds opening in 1935, with 72 more constructed in 1936 and 52 in 1937. Of the 119 playgrounds in existence before Moses became Parks Commissioner in 1932, only four were in the Lower East Side of Manhattan, two in Harlem, and thirty-two in the entire borough of Brooklyn, an average of one playground for every 14,000 children living in New York City. In addition to building new playgrounds, Moses increased the quality of many of the existing sites, since many in existence before his administration were poorly equipped and not surfaced. Equipment was so scarce that some children had to wait in line to play in many of the city’s sandboxes. By 1934 Moses had resurfaced every playground in the city and found land for 60 new ones. Due to the financial constraints caused by the Great Depression of the 1930s, the City did not have money to purchase new parkland. Moses solved the problem by finding tracts of city-owned land, often in the overcrowded sections most in need of parks, not in use by any city agency. These areas were then converted into playgrounds, frequently with money that Moses found through nontraditional means. Before President Franklin D. Roosevelt’s Works Progress Administration (WPA) allowed Moses to use workers paid by the federal government, the commissioner found money to pay Parks employees and renovate playgrounds through funds that had been overlooked by other departments. This site was acquired by condemnation on May 5, 1926 and was named by local law in 1939. Parks obtained jurisdiction over the area on March 6, 1941 and an additional section, formerly owned by Brooklyn and Queens Transit Company, was obtained on June 27, 1961. 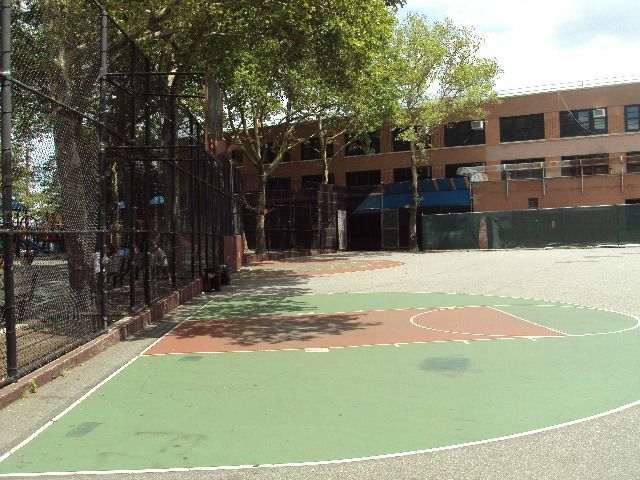 This playground, located next to P.S. 60 in the Woodhaven section of Queens, contains a comfort station, swings, and a tree-lined seating area. 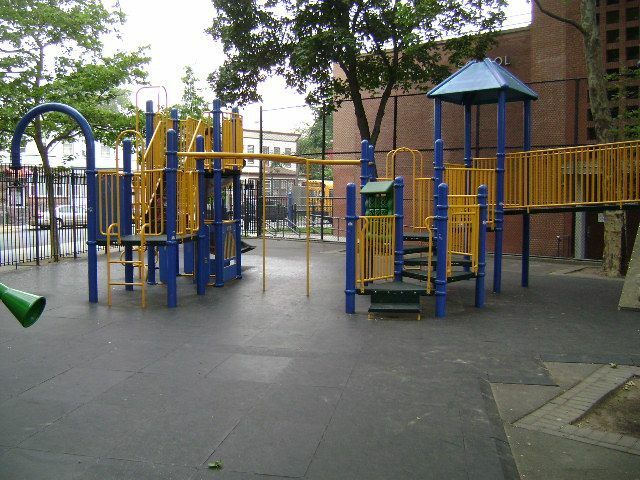 The park underwent a $93,000 renovation in 1997, sponsored by Mayor Giuliani, which repaired paved surfaces and added new safety surfacing and play equipment.